I am sending out this month’s report on behalf of our Chairman, Jean, who is currently indisposed and was unable to attend our December Members’ Meeting. I’m sure you’ll all join with me in wishing her a speedy return to good health. There were 109 members and 3 visitors at our special Christmas meeting and we had a change of format from our normal meetings. 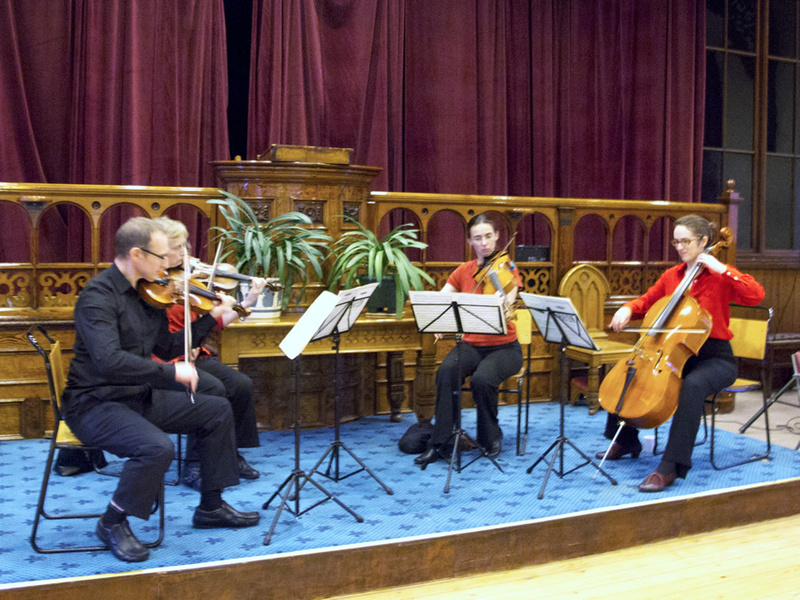 We started with a live performance of Haydn’s “The Lark” by a string quartet from Todmorden Orchestra under their leader, Andrew Rostron. 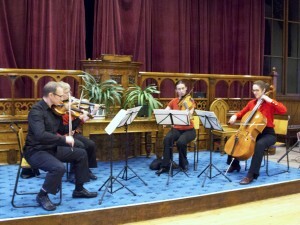 This was beautifully played and was much appreciated by the audience. – A request for people in their 80s or above, who have vivid and interesting stories to tell about their past, to participate in a new BBC2 series called “Britain’s Greatest Generation”. – A request for U3A members to get involved in the Imperial War Museum’s Centenary Partnership Programme. – The 2014 Residential U3A Summer School. 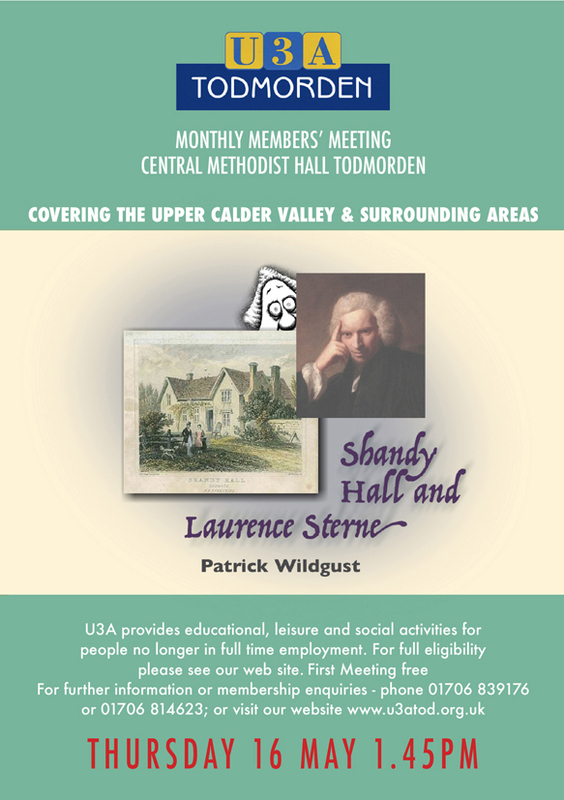 If you would like further information about any of these, please look on the internet if you have access, particularly at the National U3A web site or, alternatively, contact our Secretary, Anne Foster. We didn’t have a Groups Report at the meeting and, in fact, we’ve decided that in future, we will only have a very short report at monthly meetings – just covering exceptional items such as new groups, out-of-the-ordinary events and changes of dates or meeting rooms. The full report will continue to be posted on our web site and sent out with these monthly emails and mailshots. We were pleased to announce the formation of a new Group, “Novel Appreciation”. Anyone interested in joining this group should contact our Groups Co-ordinator, Gail Allaby. Also on the subject of Groups, we expressed our appreciation to Duncan Relf, Convenor of the Spanish Conversation Group, which has now ceased meeting after over 5 years of dedication from Duncan. We then moved on to our Guest Speaker, Trevor Driver. As well as running a dental practice in Todmorden over four decades, Trevor has also spent 23 years as a local magistrate and he gave us an extremely interesting and amusing talk about his experiences as a magistrate over that period. The vote of thanks was given by Ernie Rogan. The final part of the afternoon was devoted to the annual Christmas Quiz, which was devised once again by Myrna Beet, the Convenor of our Quiz Group. The winning team (who I won’t embarrass by naming!) only marginally out-scored the second team by just half a mark and won the afternoon’s “star prize”, a modest box of chocolates. Next month’s meeting will see the return of Dr Paul Whittaker OBE, the Artistic Director of the charity “Music and the Deaf”. Many of us fondly remember the amazing talk he gave to us nearly three years ago. There will be a retiring collection for Paul’s charity at the end the meeting. So all that remains now is for me to wish you all, on behalf of Chairman Jean and the rest of the committee, a Very Merry Christmas and a Happy New Year!